Warfarin is an anticoagulant, sometimes called a blood thinner. However, it does not thin the blood or dissolve clots that have already formed. Instead it prevents clot formation and existing clots from getting bigger, while letting the body’s natural processes dissolve the clots. Warfarin helps to treat or prevent clots in the veins, arteries, lungs or the heart. Here’s our pharmacist’s advice on some commonly asked questions about Warfarin. What should I do if I missed a dose of warfarin? What is INR and what does it have to do with my warfarin regimen? Does my diet have any interactions with warfarin? Are there any lifestyle aspects that I should take note of when taking warfarin? Do I need to inform other healthcare providers that I am taking warfarin? If you missed a dose of warfarin, you can still take the daily dose of warfarin if the time at the point of realization is still within 8 hours from your usual time of dosing. If it is more than 8 hours, skip that dose for the day and resume your dose of warfarin the next day. The INR stands for International Normalized Ratio. It is a measurement used to measure the tendency of your blood to clot. Each individual taking warfarin will have their own desired target INR range, depending on their condition. When your INR is below the target range, there is an increased risk of clotting. When your INR is above the target ranges, there is an increased risk of bleeding. Warfarin acts by reducing the ability of your liver to use vitamin K to make normal clotting proteins. Therefore, changes in diet can actually alter the amount of vitamin K in your body and change your body’s response toward warfarin. The most important thing to keep in mind about your diet is consistency. 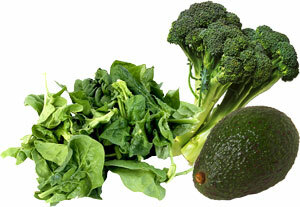 Large amounts of vitamin K are found in food like green leafy vegetables, green tea, gingko and mayonnaise. These foods can be taken but only in consistent amounts every day. Avoid sudden consumption of large amounts and sudden absence in diets. This increases the risk of blood clotting in our bodies, by reducing the blood thinning effect of warfarin on the body. 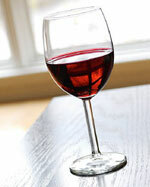 Alcohol may increase or decrease the metabolism of warfarin. Avoid alcohol or maintain a consistent intake each day. Activities that involve too much contact might put you at risk for bleeding. If possible, try to choose activities that involve minimal contact risk that could cause bleeding. You should inform your doctor / pharmacist that you are on warfarin, as warfarin has many interactions with other medications. You should also inform your dentist before you consent to any dental procedure. Dentists would advise accordingly if there is a need to withhold your warfarin to avoid serious bleeding during the procedure.